The land of the Buddha, India bridges the material world to the spiritual. The birthplace of Buddhism, our Buddha Tour is designed for those seeking peace of mind and rejuvenation. The various destinations covered by this programe takes you to the world-renowned holy site like Delhi, Agra, Varanasi, Sarnath, Bodhgaya, Rajgir, Nalanda, Patna, Vaishali, Kushinagar, Lumbini, Balrampur, Sravasti, and Lucknow. 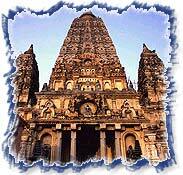 All the sacred sites have been associated with Lord Buddha right from his birth to the rise of Buddhism in India. 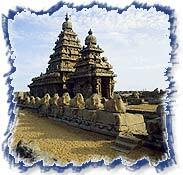 All in all the tour package offers the best of the Buddhist circuit in India. So get ready to walk on the footprints of Lord Buddha with the Buddha Tour. Arrive Varanasi early in the morning. On arrival check-in at hotel and refresh for a visit to Sarnath -the place where Lord Buddha preached his first Sermon in 590 BC. Afternoon sightseeing tour of Varanasi, visiting Ghats, Kashi Vishwanath Temple, Gyanvyapi Mosque, Durga Temple, Banaras Hindu University, Ram Nagar, Fort and Museum. Overnight at hotel. Early morning boat-ride on the River Ganges. Thereafter, leave Varanasi by road for Bodhgaya (242 kms / 6-7 Hrs) one of the holiest Buddhist pilgrimage centers in the state of Bihar. It was here that Gautama attained enlightenment and became Buddha under the "Bodhi" tree Satabodhi Temple. Overnight at hotel. Leave Bodhgaya for Patna (229 kms / 6-7 Hrs) en-route visiting Rajgir & Nalanda. Patna is 2500 year old capital city of Bihar. Rajgir was capital of 6th century Magadha Empire and was revered site of Buddha's discourses. Buddha spent many years here. Nalanda is world's oldest university founded in the 5th century. Overnight at hotel in Patna. Morning leave Patna for Kushinagar (253 kms / 8 hrs) en-route visiting Vaishali -located 60 kms from Patna and holds special significance for Buddhist devotees. Kushinagar is the place where Buddha passed into Maha-Parinirvana. Afternoon visit Kushinagar the various stupas and temples. Overnight at hotel. Leave Kushinagar by road for Lumbini (170 kms / 4-5 Hrs) - the birthplace of Buddha and is located just a few kilometres inside Nepal. Sightseeing tour of Lumbini and thereafter leave for Sravasti by road (225 kms / 6 hrs). On arrival transfer to hotel and overnight stay. Morning visit to Sahet & Mahet -15 kms from Balrampur and the capital of the ancient Kingdom of Kosala. Sravasti has the honour for sheltering Buddha for 24 rainy seasons in the Jetvana Vihar and has the famous Anand Bodhi tree, age-old stupas, majestic monasteries and several temples. Buddha is said to have performed some miracles here. After sightseeing leave for Lucknow by road (175 kms). Commence from Lucknow to Delhi by air or train. On arrival check-in at hotel and overnight stay. Transfer to international airport for flight to onward destination (Hotel Checkout 12:00 Hrs).